The Costa Rican climate is moderate and it remains so throughout the year. This is the reason why the country is so popular among the tourists. Temperature in Costa Rica is neither very high nor very low. A tropical country, Costa Rica is located between 8 and 11 degrees above the equator. The beautiful country has only two seasons: dry and green! The dry season is between late December and April and there is little rain during this dry spell. On the other hand, the green or wet season lasts the rest of the year – May through November, but you will get an average of about 5 hours of daily sunshine. The Caribbean coast doesn’t have this extended dry weather and stays green all year round and due to the humidity. The Central Mountainous Region is more temperate, like the spring-like weather in San Jose. Weather is Costa Rica is dry and moderate. If you are thinking about the weather Liberia, Costa Rica, don’t you worry. Warm and cozy weather awaits you there. The beautiful city in Guanacaste is just four hours journey from San José by bus. A small town by North American standards, Liberia’s city center features a modern church, a common feature in almost all Costa Rican towns, facing a plaza surrounded by locally-owned shops and restaurants. You will pass the city en route to beaches such as Playa del Coco, Playa Hermosa, or the Papagayo peninsula. A recently opened close by attraction by the name of Africa Mia offers an African safari. The Museo de Sabanero is also located in Liberia. The Daniel Oduber International Airport is located near the city and it is the second international airport in Costa Rica, after the Juan Santamaría International Airport in San José. It is linked with cities like Toronto, Los Angeles, Dallas, Miami, Houston, Atlanta, Charlotte, Chicago, Newark, and London. Rincón de la Vieja Volcano National Park, to the northwest of Liberia, offers good space for hiking trails are such volcanic wonders as hot springs and bubbling clay pots as well as numerous waterfalls and rivers. If you are planning to visit the beautiful country, you should go there in the dry season, i.e., between December and April, is the dry season. The rainy season, between May and November, normally sees quite sunny mornings, with intermittent showers in late afternoon. 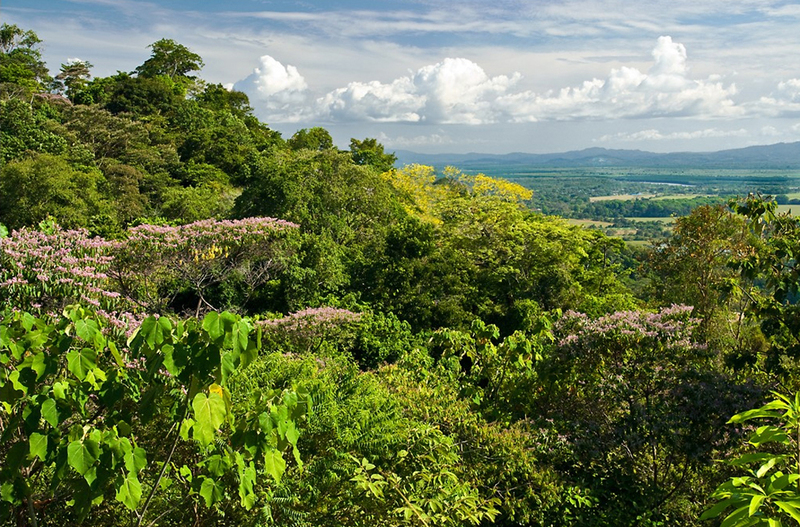 The Costa Rican climate is tropical, with an average temperature of 72°F (22°C). So Costa Rica is an ideal place to be if you want to spend your holidays in a moderate climate. Such a soothing climate will not only suit your health but will fill your heart with lot of enthusiasm and energy. Come and feel the true character of a place where incredible coastline kisses the crystal-clear blue sky. Your tour to Costa Rica will remain a treasure in your heart for eternity. Costa Rica is blessed with a pleasant climate he the tourists from all over the world admire.